Treat hard-working hands to an easily- absorbed moisturizing hand cream formulated with extracts of anti-oxidant Quince and conditioning Rose. Enriched with coconut oil, shea butter, vitamin E and blended with essential oils of citrus, this hand cream is perfect for keeping your hands hydrated. A modern citrus rose scent of rose petals and freesia stems, sweet quince, william pear and rhubarb, with notes of amber and musk. 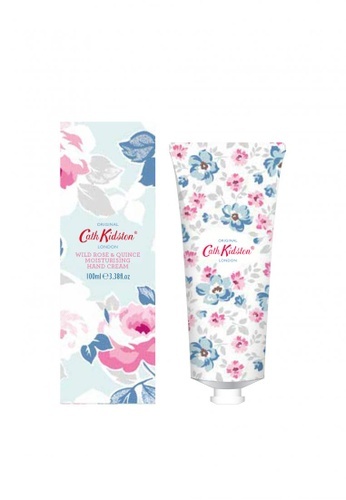 This gentle hand cream comes adorned in one of Cath Kidston’s new floral designs. Can't find Wild Rose & Quince Moisturizing Hand Cream in your size?